Now scheduling Sleigh Rides for weekends and holidays! Call or email to see what times we have available. In 2013, we settled at our homestead and made draft horses the center of our farming and land management practices. Nothing happens quickly with draft horses, at least compared to using conventional farming and logging equipment. We find that our horses are a way for us to move more slowly through the world, facilitating a better connection between us and the resources we use. Our team of belgian geldings, Bob and Ted, keep busy year-round. We travel off-farm with them to help local landowners harvest timber using low-impact techniques and equipment. 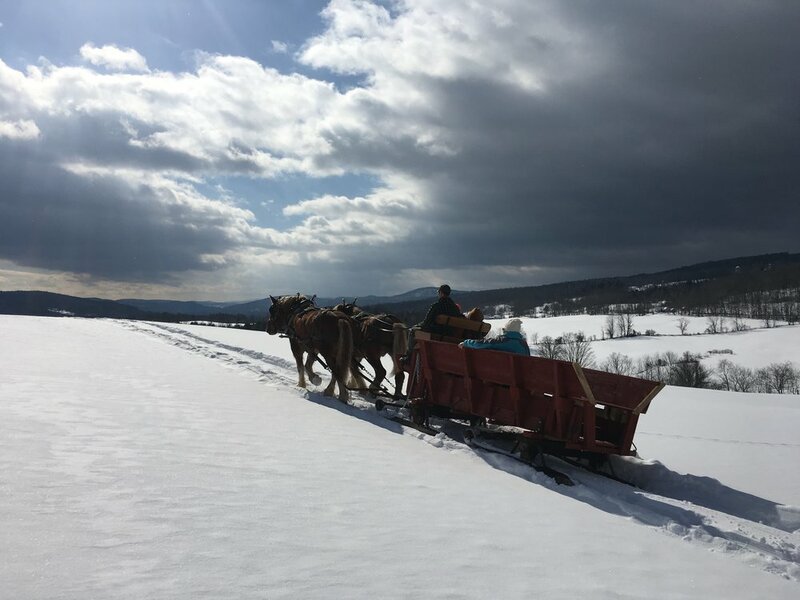 We also offer horse-drawn wagon rides on the farm or off the farm at special events, and sleigh rides on our farm in the winter months.